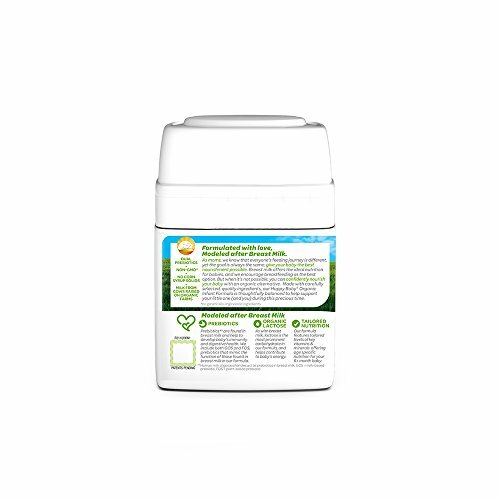 Modeled after breast milk, our Stage 2 organic infant formula is crafted with carefully sourced, premium ingredients, and tailored to meet the nutritional needs of babies six months of age or older. 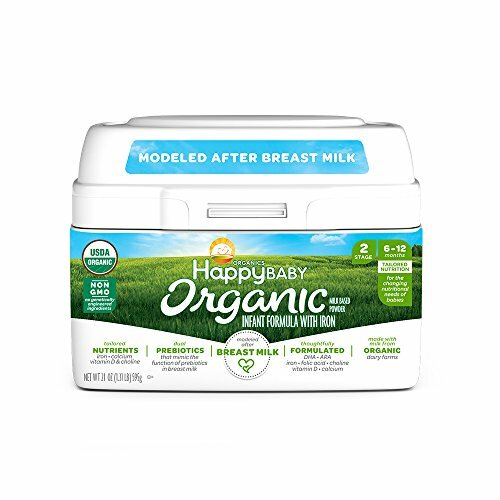 Happy Baby Organic Infant Formula thoughtfully combines organic lactose, dual prebiotics, and essential nutrients, including calcium, vitamin D, iron, DHA, ARA, folic acid, and choline, to help nourish and support your little one during this precious time of development. Here’s to a happy start! 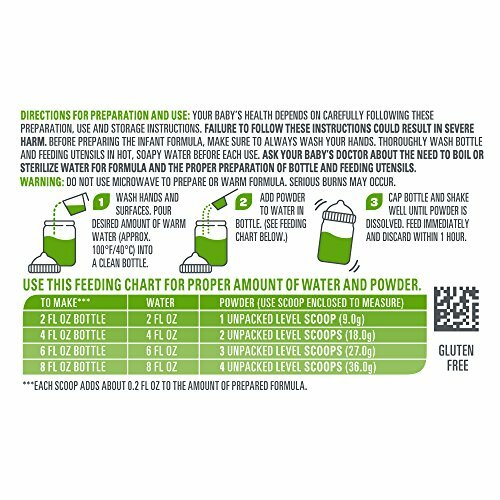 Before using an infant formula, ask the advice of your healthcare professional. 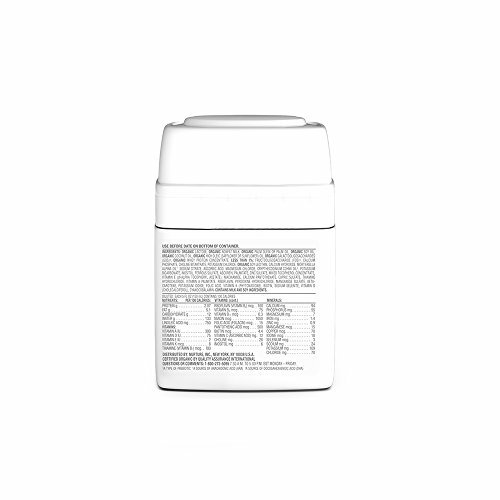 Powdered infant formulas are not sterile and should not be fed to premature infants or infants who might have immune problems unless directed and supervised by your baby’s doctor.MODELED AFTER BREAST MILK & made with carefully sourced premium ingredients, this formula is made with organic lactose the principal carbohydrate found in breast milk. 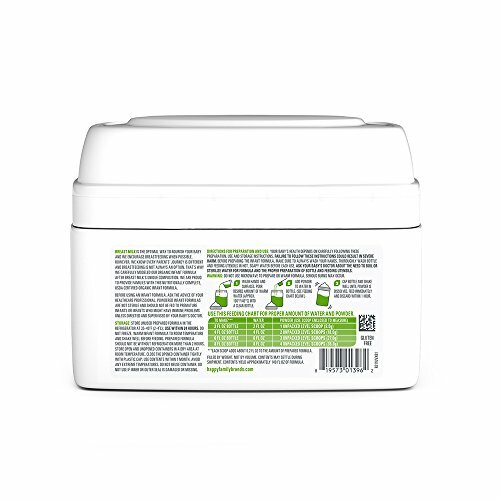 Our formula provides key vitamins and minerals that are found naturally in breast milk. 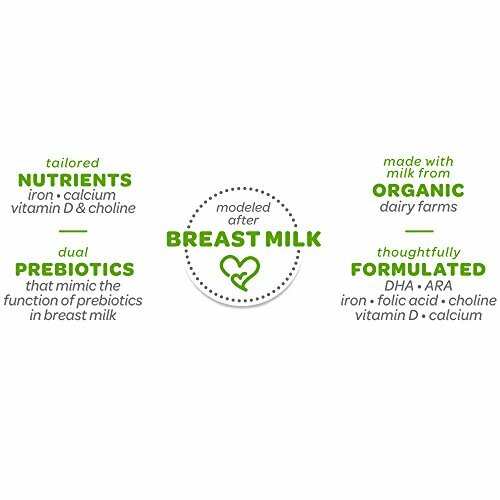 WITH 4X MORE PREBIOTICS than most other organic infant formula, our formula delivers two prebiotics, GOS & FOS, fibers that mimic the function of prebiotics found naturally in breast milk, which promote healthy gut bacteria in infants. No corn syrup. 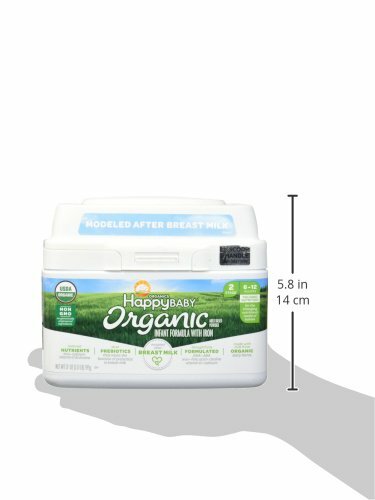 HAPPY BABY: At Happy Baby Organics, we provide organic and delicious options for your baby’s nutritional journey. We develop premium organic recipes perfectly matched with your child’s age and stage. This is enlightened nutrition for every family. 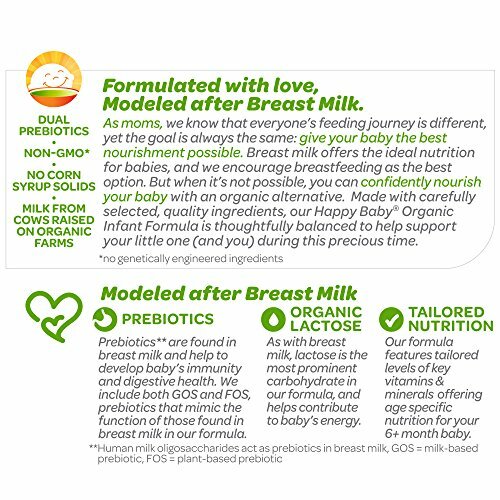 HAPPY TUMMIES: Try Happy Baby’s full line of baby food pouches, probiotic cereals, whole milk yogurt, teething wafers & baby snacks if you’ve enjoyed baby food from Sprout, Plum Organics, Annies, Gerber, Beachnut, or Peter Rabbit Organics.